Quest Software, independent again after its spinoff from Dell EMC nearly a year ago, is building out its data protection portfolio with a new cloud-based management console. The Quest Data Protection Portal is an extension of Rapid Recovery 5.4, the latest version of Quest’s snapshot-based application and data recovery software. The Quest Data Protection Portal runs on the Microsoft Azure public cloud. The Quest Data Protection Portal monitors all Rapid Recovery core servers that may be in disparate locations while checking the status of backups, replications and virtual standbys for disaster recovery. The portal also allows IT administrators to perform backups, replications and recoveries from anywhere. Quest is working on re-establishing itself as an independent company after Dell EMC sold off its software group to Francisco Partners and Elliott Management in November 2016. Dell Software acquired Quest in 2012 for $2.36 billion, well before its $60-billion-plus merger with EMC. 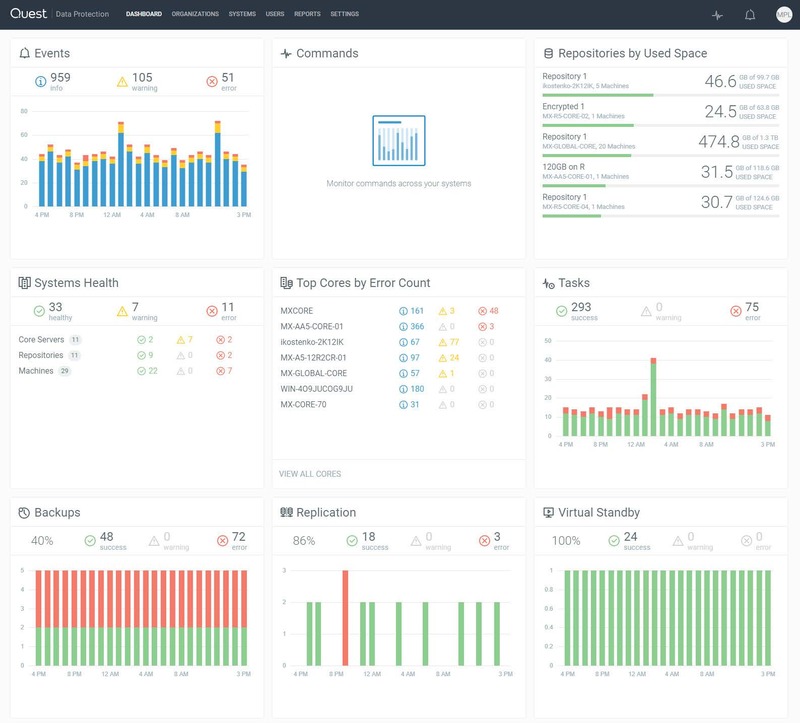 This past summer, Quest added Vroom, a tool for virtual infrastructure monitoring and recovery management. Quest Vroom protects VMware and Hyper-V while providing disaster recovery-as-a-service in Microsoft Azure. Vroom uses Rapid Recovery and it can monitor a virtual machine (VM) as it is running and show what could happen to it in case of an outage.